The forests and beaches of Abel Tasman are once again filled with the birdsong that awakens and delights visitors. Introduced pests, such as rats, stoats, possums and wasps, have had a major impact on the local native bird and insect populations as well as their habitat. 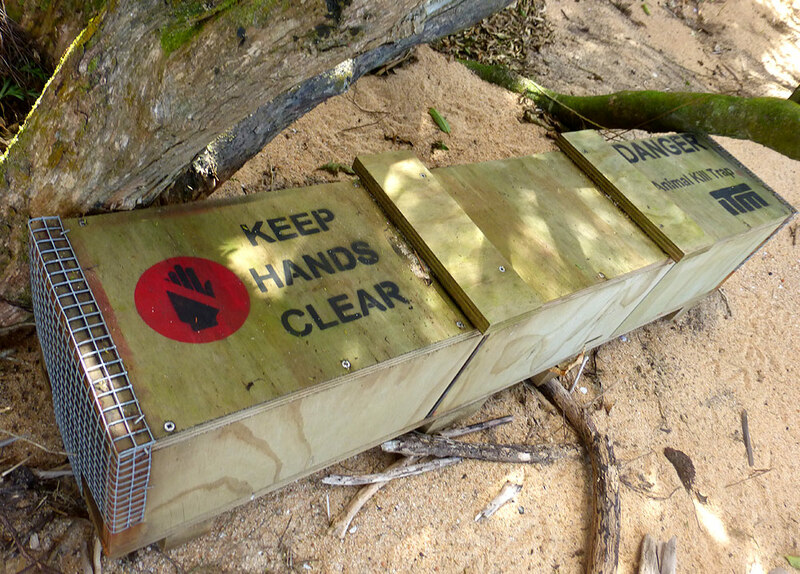 Our current predator control programme extends right along the Abel Tasman National Park coast from Marahau to Awaroa. Trapping is intergral to predator control projects. 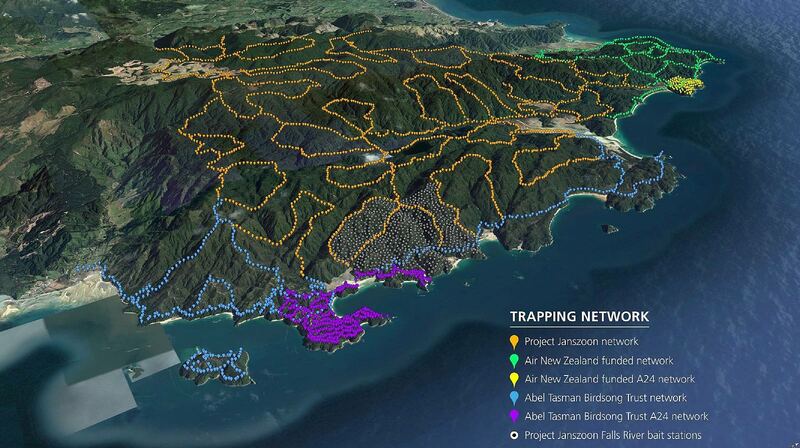 We are involved in several restoration projects in the Abel Tasman National Park. Our primary focus of this work is to increase the availability of food for our native birds and also to improve the visitor experience in the park. 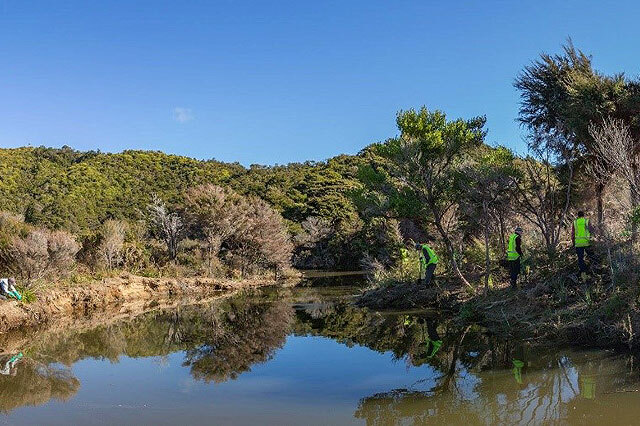 We also assist DOC and Project Janszoon with other restoration projects such as native rata and peppercress planting, ’firesmart’ projects and sand dune protection. 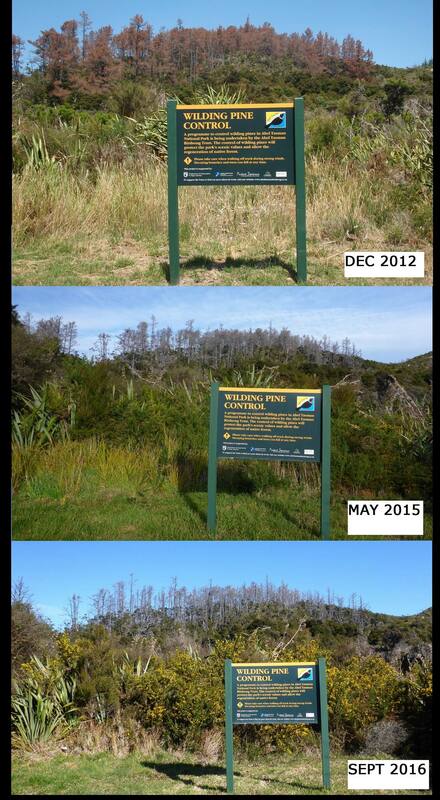 To restore and maintain the natural forest cover of the national park we have administered almost $1 million in grant money to remove wilding pines and control a large suite of weed species in the Abel Tasman. At one stage it is estimated more than 10,000 ha of the Abel Tasman National Park was infested by wilding conifers. Control began in 2012 and the dead standing trees on the skyline and in bush catchments symbolise the success of this highly visible work. These trees are mainly a legacy of early European settlement and farming ventures. We also worked with owners of adjoining land to help stop reinvasion. Over time native trees will take their place and restore the integrity of the natural environment. The success of this project has seen the method being used as a blueprint for other areas. This is a detailed case study on how it was done here. Here is a video from Project Janszoon. 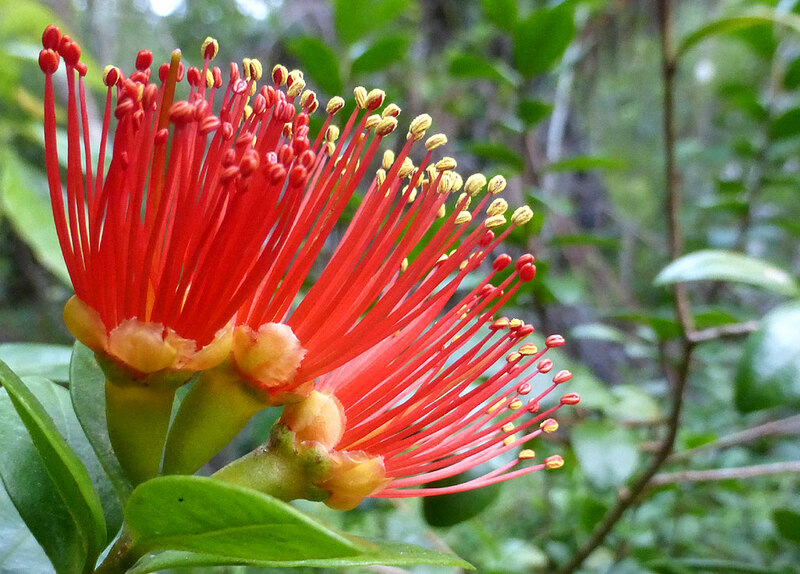 A 2012 survey identified 113 different weed species in the Abel Tasman National Park – not including gorse and hakea. In 2014, the Abel Tasman Birdsong Trust began a $200,000 weed control programme, supported by the New Zealand Lottery Grants Board, targeting high–priority weeds like grevillea, wattle, holly, old man’s beard, pampas and tradescantia. Torrent Bay escapees – pic of all locations showing the extent of the spread. At Totaranui, climbing vines like Japanese honeysuckle, jasmine and banana passionfruit, and willows in the wetland area were also controlled. 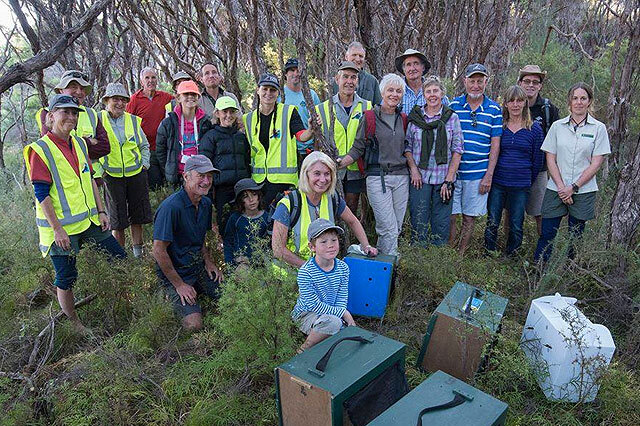 In 2016 Project Janszoon took over the follow–up work of the wilding pines and weed control, focusing on target species that were either missed, or had sprung up after our initial control. We have reintroduced two species of native birds that disappeared from the park many years ago. 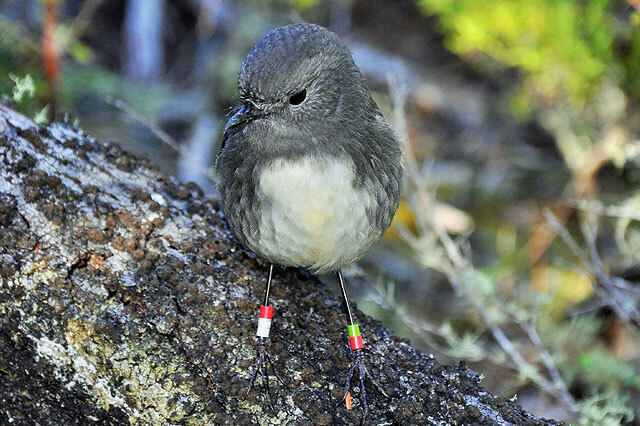 South Island Robin/Toutouwai – A population of 31 Robins were released onto Adele Island in 2009 after the island was declared predator–free. These birds were breeding successfully so it was decided to introduce 14 more birds in 2011 to strengthen the gene pool and ensure the Robins continue to thrive. To reduce the risk of predators swimming to the island from the mainland, and to increase the chances of survival for birds migrating from the island to the mainland, volunteers are maintaining intensive trap lines from Marahau, along the shore of the Astrolabe Roadstead, to Anchorage. Robins had not been seen around the coast of the mainland for about 30 years so to influence their distribution in the park the Abel Tasman Birdsong Trust translocated a group of 34 birds to the intensively trapped Pitt Head area in 2016. ATBT Chairman Kim McGlashen says ”The ATBT have been working towards bringing robin back to the mainland coast for nearly four years. It will be wonderful to see them getting a foothold around the coast so visitors can enjoy seeing the friendly birds up close”. 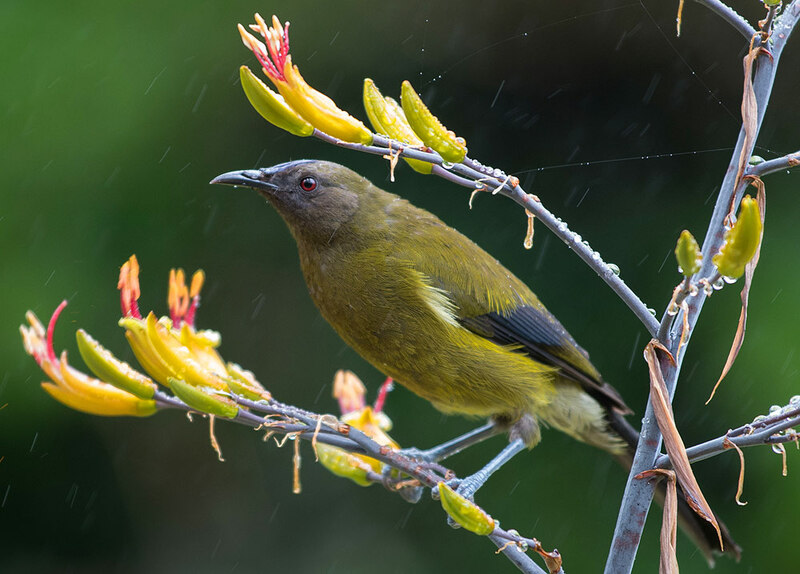 Saddleback/Tieke – 28 birds were successfully translocated to Adele Island / Motuareronui in 2014. These birds got off to a great start and are thriving now that mice have been removed for several years. Ongoing monitoring to assess breeding success and changes in distribution have indicated that Saddleback/Tieke prefer the coastal forest fringes. Here is a video taken during a monitoring trip. Donate Now! With your assistance we can undertake projects that show real conservation benefits. Join our team as a volunteer. © 2018 Abel Tasman Birdsong Trust. All Rights Reserved.